During 6 days, Cairenes will have the opportunity of enjoying a wide selection of the most remarkable works made by women, as well as exchanging ideas and experiences with international guests of the festival, coming from Lebanon, Palestine, Cuba. Spain, The Netherlands, Denmark, Portugal, Algeria, Germany and Czech Republic. The festival takes place in Creativity Center (Opera House), Falaki Theatre (AUC campus) and Goethe Institute. Films such as “To Singapore, with Love” (Singapore) by Kim Tang Pin Pin, “My Love Awaits me by the Sea” (Palestine/Jordan/Qatar) by Mais Darwaza, “My Dog Killer” (Czech Republic) by Mira Fornay, “Birds of September” (Lebanon) by Sarah Francis, “Optical Axis” (Russia) by Marina Razbezhkina, “Anderson” (Germany) by Annekatrin Hendel, “10949 Women” (Algeria/France) by Nassima Guessoum, “The Trace of the Butterfly” (Egypt) by Amal Ramsis, are some of the films to be presented during the festival. In a Special screening, National Film School of Denmark will be presented by 3 of recent films made by it’s female students. Also the festival invites the social Cuban TV Serrana to present a selection of films realized in Sierra Maestra with a posterior debate with one of the Cuban filmmaker of the TV about the experience of the televsion since 25 years. The festival includes different sections like International Panorama, Egyptian Panorama and Caravan of Arab – Iberoamerican Women’s Films. One of the festival program’s highlights is the ‘Tribute to a Cineaste’ which will be dedicated this year to one of the most distinguished Dutch filmmakers Eugenie Jansen, which will be among the festival guests with a selection of her outstanding films including her winner films in Rotterdam Film Festival and Berlinale “Sleeping Rough” and “Above Us”. Eugenie Jansen will present a Master Class on December 1st at the Goethe Institute. Germany is the “Country in Focus” of this year with a selection of 5 awarded films like “Scherbenpark” by Bettina Blumner and “Majoub’s Journey” by Eva Knopf. Towards creating a networking between International Women Film Festivals, the invited festival of this year will be International Women Film Festival of Barcelona to present some of films which was selected in it’s last edition of the festival. 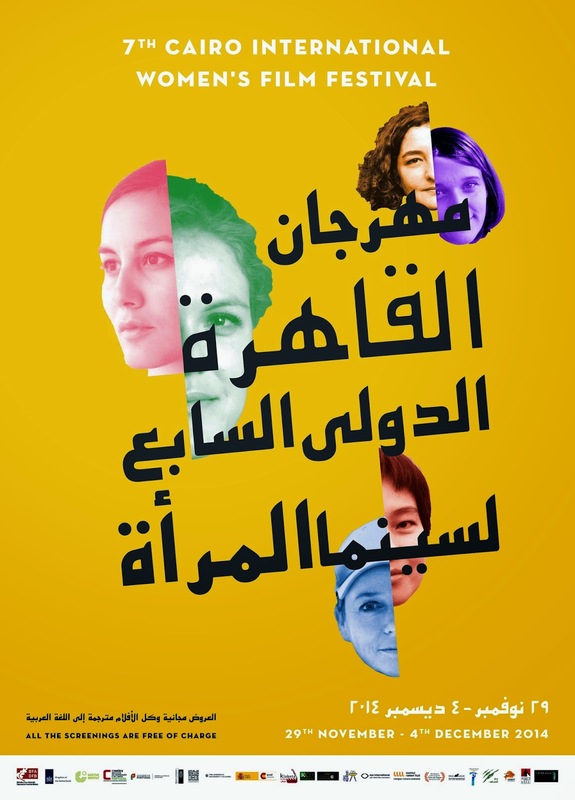 In appreciation of the support given by the Egyptian public to the festival over the past 5 years, Cairo International Women’s Film Festival offers an Audience Award to the Best Film selected by the votes of the audience. Among Women Filmmakers: 7th Cairo International Women’s Film Festival is organized by Klaketa Arabe in collaboration with KCD (Kultura, Communication y Dessarollo, Spain) and the support of Diputación Foral de Bizkaia, the Embassy of the Netherlands, American University in Cairo, Goethe Institute, the Embassy of Portugal, the Danish-Egyptian Dialogue Institute the Embassy of Denmark, the Embassy of Spain and in collaboration with Falaki Theatre and Cultural Development Fund, Eye Film Institute, Documentarist “Istanbul DocuDays”. All the films are subtitled into Arabic and English and the screenings are for free.